Fun! Ballpoint pen is great to draw with. I worry that it isn’t archival and light fast, but it’s fun…liberating. Kind of like drawing with crayon–but better because it is a finer point. This #sbsseeing klass assignment was to use one color, but I didn’t listen well and ended up with black and blue. The most difficult part of this assignment for me today was subject matter. Drawing from life is always a challenge this time of year. So, I just looked at my desk and decided to do shells. The black zebra ballpoint is a great tool. I am also working on 75 days of ink only drawings, so this assignment fit that challenge. 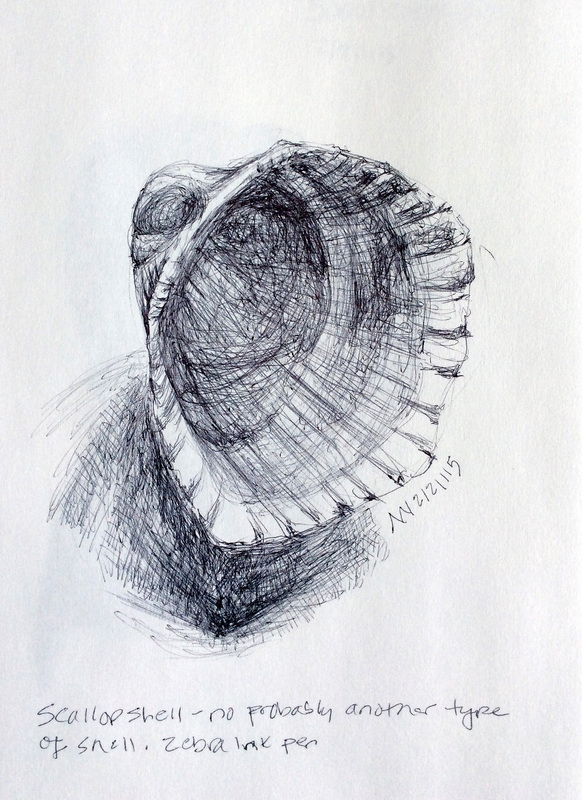 And, today was the virtual sketch crawl for the Artists Journal Workshop, so the final shell drawing had to work for that as well. Even my Dad got into the act with a sketch (although he may have just been placating me). Next lesson is hand lettering–which is super great because this is something I am not good at! 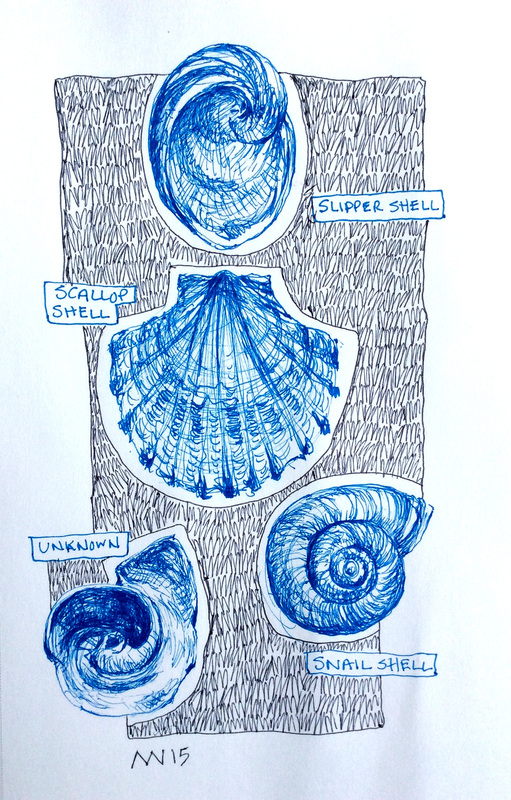 This entry was posted in #sbsseeing, #sketchbookskool, art, art journal, drawing, nature, shells, small painting and tagged #sbsseeing, art, art journal, artist, ballpoint pen, drawing, ink, shells. Bookmark the permalink. thanks Karen! It’s a good challenge to only draw with the pen–I am looking forward to the spring when I can get back outside and draw from life.